Home furnishings (furniture here) are a valuable investment and it’s not something that you can buy every other day. And hence, it becomes very important that you look after it in order to not only extend its shelf life but to keep them looking new and pristine. Well, odours on upholsteries are something that should be attended to immediately. Pet smells, body odour, spilled food or drink, etc. can lead to bad smelling upholsteries and it’s essential that you clean it at the earliest and that too properly as unpleasant smells can become a staple “permanently”. Your upholstery can become a dwelling place of harmful contaminants including bacteria, dust mites, mould & mildew, dirt & grime, etc. leading to many grave health problems for you and your family members. And the only way to keep all these at bay is regular cleaning and not doing so can cause many health issues including asthma, emphysema, and eczema. It won’t only keep you healthy but even improve the indoor air quality of your home. 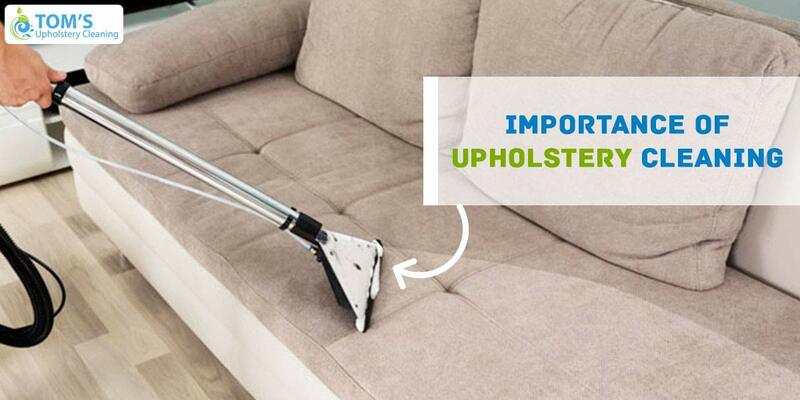 Hence, now you know how important it is to keep your furniture’s upholstery clean and hygienic. Along with vacuuming and cleaning it on regular basis you also should consult professionals who will clean your upholstery properly as they have the right cleaning equipment and skills to even provide same day upholstery cleaning services.